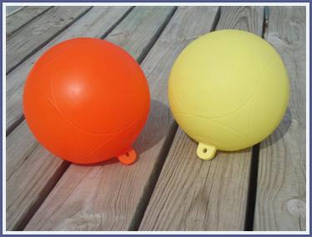 Our slalom buoys are the highest quality made in the world. The eye of the buoy is solid and reinforced on the inside. Set of 24 is 13 yellow/11 orange so that you have one extra of each color. If you would like a different color combination of 24, please enter your preference in the additional information box at check out. You can choose yellow, orange or green.